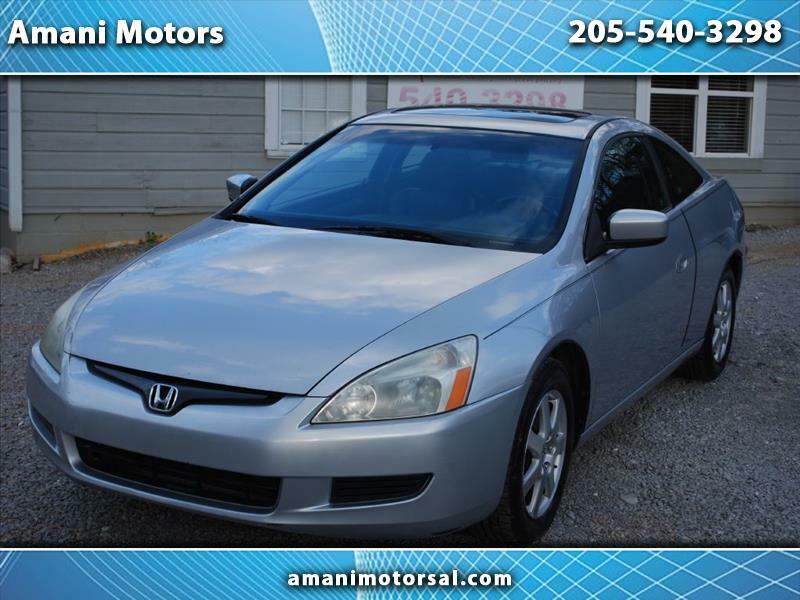 Check out this sporty 2 door Honda Accord! It definitely hits the sweet spot between style, performance and comfort, and it's just waiting for you to check it out! Under the hood of our 2005 Honda Accord is a 3.0L6-cylinder kicking out 166hp and scoring 34mpg highway. Paired with a smooth shifting transmission, our front wheel drive sedan will take you to work, school, out for dinner...basically anywhere you need to go and look stylish in the process. Our immaculate EX trim's interior adds to the sporty look, too! Examine the leather-wrapped multifunction steering wheel, plenty of power accessories, the incredible audio system, heated leather seats, and sunroof. Safety and reliability are also two things you can always count on in a Honda. And this one is no exception; it is loaded with all the latest safety features. Don't miss out on the chance to see this beauty. Pick up the phone and call us today at 205-540-3298... We Know You Will Enjoy Your Test Drive Towards Ownership! WE HAVE FINANCING OPTIONS AVAILABLE!! !